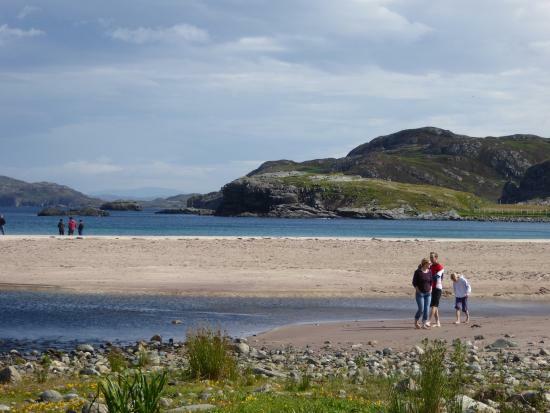 The 24-mile-long single track road that follows the coast from Lochinver to Kylesku may be narrow, twisting and in places very steep, but the visitor should not be put off as it is also arguably one of the most scenic routes in Sutherland. 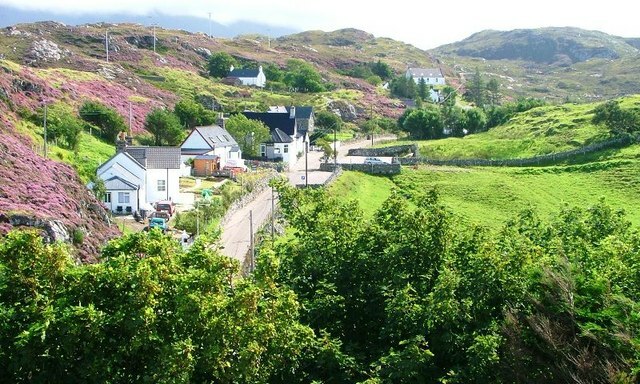 Leaving Lochinver, you soon pass the junction for the road to Achmelvich Beach. Further, on you will reach the tiny crofting townships of Clachtoll and Stoer. The nearby Stoer Lighthouse was built by Stevenson in 1870 and now that it has been automated (like all Scottish lighthouses) the keeper’s house is available as tourist accommodation. A walk from the lighthouse takes you to the famous sea stack the Old Man of Stoer, a pinnacle of rock which rises 200 feet out of the sea. Further along, the road lies Clashnessie, another tiny crofting township that is scattered around the sandy beach of Clashnessie Bay. As the road twists and turns, you get spectacular views out to sea over Clashnessie and Edrachillis Bays or inland to the mountains of Quinag and Suilven. The communities of Drumbeg and Nedd are next along the road. The viewpoint car park has stunning views out over the islands in the bay. Despite being small, Drumbeg boasts a general store and a greengrocer as well as a craft shop and artist’s studio and of course Drumbeg Hotel.